Witness the amazing laws of physics! Named for Sir Isaac Newton, Newton’s Cradle demonstrates the law of conservation of momentum and energy via a series of swinging spheres. When one of the end spheres is lifted and released, the resulting force travels through the line and pushes the last sphere upward. This chain reaction of swinging and clicking balls is quite entertaining and mesmerizing to watch. A creative, high-quality gift you’ll be proud to give to someone special. 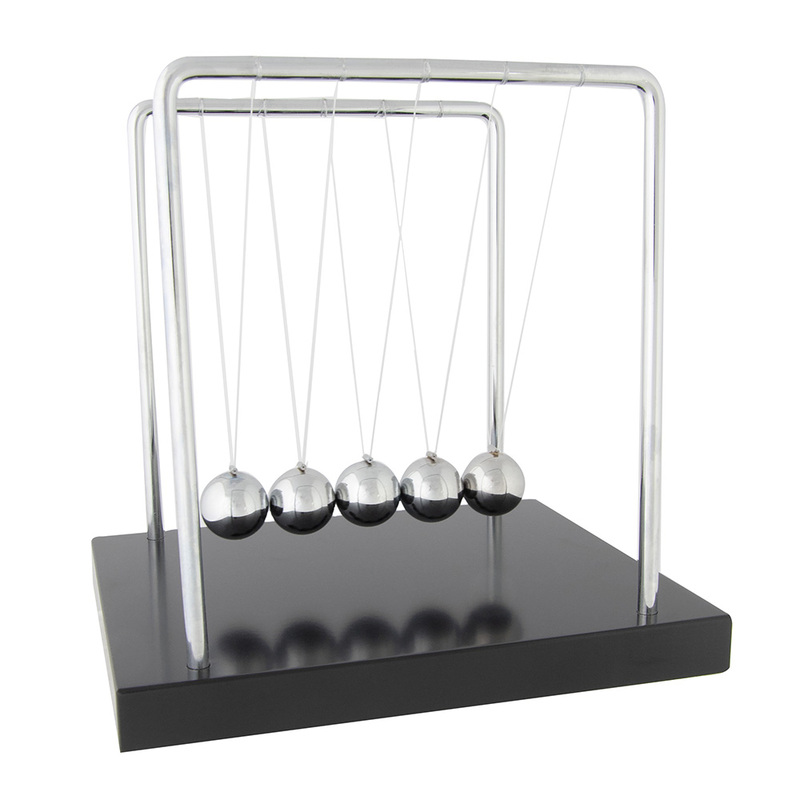 Newton’s Cradle promotes relaxation, relieves stress and enhances inner peace. Great for conference rooms, lobbies and offices. Just plain fun! Some assembly required.